System Requirements: Windows Vista SP1 or later. / Pentium 1 GHz or higher with 512 MB RAM or more. 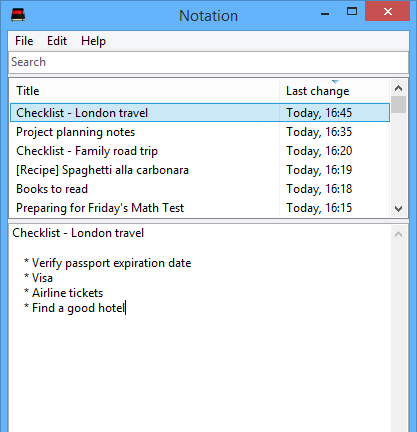 Just press Winkey + N to take notes from anywhere in Windows. Do not lose anymore your notes into separate files by the computer. Search, simply and quickly, for all your notes. Keep your notes synced among your devices using Simplenote. Full support for Markdown markup language and HTML export. The Notation is optimized to consume very little computer resources. © Notation - 2014 - The Notation was idealized by Rodrigo Ghedin and developed by Alison Robson.